Electroacupuncture was developed in China around 1934. Similar to traditional acupuncture, electroacupuncture involves inserting needles into specific points on the body. Using two needles at a time, a pulsating electrical current passes from one needle to the other, stimulating the acupoints. Several pairs of needles may be used, and the treatment usually lasts less than thirty minutes. Mesenchymal stem cells (MSCs) are adult stem cells found mainly in the bone marrow. Widely studied for their healing potential, MSCs have demonstrated the ability to regenerate tissue as well as help regulate a stable internal environment for cells. Electroacupuncture triggers the release of MSCs into the bloodstream. What advantages does electroacupuncture have over traditional acupuncture? Electroacupuncture is a convenient substitution for hand maneuvering in some cases because the needle’s electrical current stimulates a larger area than the needle alone. It also provides a stronger stimulation without the tissue damage that may occur from needle movement. The practitioner is able to control the amount and the frequency of the stimulus easier than when using hand manipulation of the needles. Electroacupuncture is effective in treating Bell’s Palsy, tennis elbow, severe nerve pain, paralysis, acne, renal colic, and even the nausea cancer patients on medication may experience. What should patients expect during electroacupuncture? Standard treatment usually takes 10-20 minutes, rarely exceeding 30 minutes unless treating certain neurological disorders. The patient may experience rhythmic spasms or muscle twitching. After the first few minutes, the patient may have a decline in response to the stimulus once the body has adapted to it. The practitioner will adjust the frequency and/or intensity in order to circumvent this adaption. A sensation of numbness, swelling and/or heaviness may occur during electroacupuncture. Although electrical currents are not transmitted throughout the body, patients with particular health histories should abstain from this treatment. Which patients should not use electroacupuncture? Patients who have a pacemaker or a history of seizures, heart disease, epilepsy, or strokes should not receive electroacupuncture. It’s also recommended that patients avoid having electrodes placed over the heart or throat. What is Suction Cup Therapy? The use of Suction Cup Therapy, also known as Chinese Cupping, can be traced back to 281 AD as a cure for pulmonary tuberculosis. It’s now considered an alternative therapy treatment for many medical problems, including gastrointestinal disorders and lung diseases. This therapy consists of heating glass cups and placing it over a particular part of the body so that both the skin and the superficial layer of muscle beneath the skin are suctioned into the cup. Although cupping dates back to the Egyptians around 1500 BCE, China can be credited for improving upon the practice. Unfortunately, pottery proved too fragile for the technique, and bamboo cups deteriorated from the continual heating. The introduction of glass in the twentieth century led to a more suitable material and had the added benefit of being see-through, allowing the doctor to check on the skin’s response to the treatment. In both Eastern and Western medicine, shamans believed cupping sucked illnesses and toxins from the body. In the 1950s, it was established as an official therapeutic practice in Chinese hospitals after research confirmed its effectiveness. Cupping now has a place in modern alternative therapy throughout America and is increasing in popularity among celebrities and athletes. Traditional Chinese Medicine defines qi as an energy or life force in constant circulation within the body. Symptoms of qi deficiency include fatigue and a weak pulse. Ge Hong’s wife, Bao Gu, became the first female acupuncturist in China. Cupping is beneficial in stimulating qi and detoxification of the body. It’s also used to treat conditions such as eczema, hives, or acne, and aids in decreasing wrinkles and rejuvenating the face. By using it along the stomach meridian points, it can improve digestion and treat gastrointestinal disorders. Cupping is also used to clear congestion from the lungs and control asthma. It relieves pain from arthritis, fibromyalgia, and migraines, and treats gynecological issues such as leucorrhea and irregular menstruation. It’s also a method that helps break down cellulite, lowers blood pressure, and treat insomnia. Rubbing alcohol is swabbed into the bottom of the cup, then lit on fire, extinguished, and the cup is placed immediately onto the skin. This is called dijiufa (alcohol-fire cupping). An inverted cup is placed over an open flame to heat it and then placed atop the skin. This is called shanhuofa (flash-fire cupping). An alcohol-soaked pad over an insulating material is lit on fire, a cup immediately placed over it to extinguish the fire. Some cups have a valve attached to a hand-operated pump, which suctions the air without the use of heat. While the patient relaxes, the cup is left on the body for three to fifteen minutes. The patient should not feel any discomfort. In fact, it should be quite calming. Some treatments include “gliding cupping,” where the practitioner moves the suctioned cups gently along the skin. 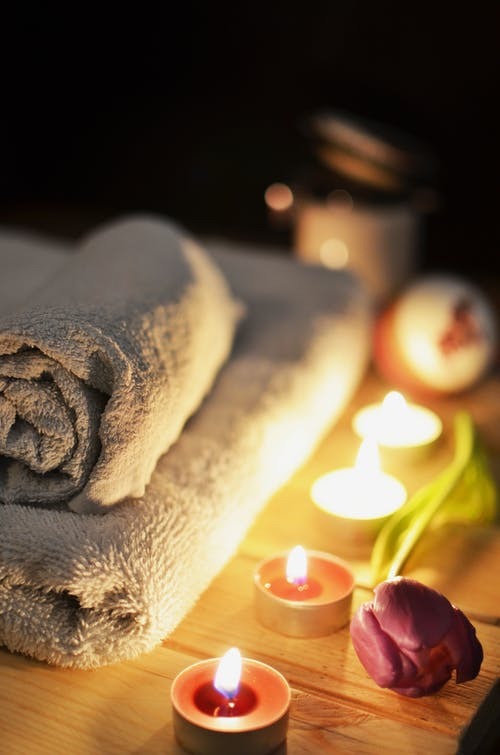 Sometimes medical massage oils are used for ease of movement. 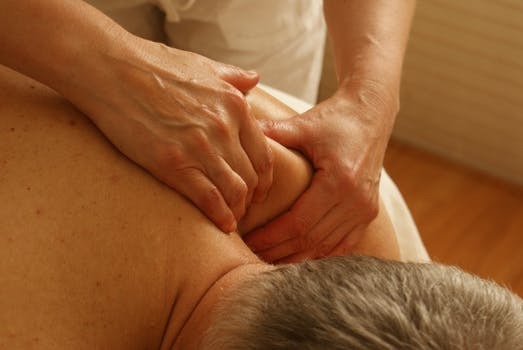 In a way, it’s similar to massage except that instead of placing pressure on the muscles, it lifts the muscles upward. Sometimes an acupuncture needle is inserted into the skin before the cups are placed onto it. This is often used to treat arthralgia (joint pain). Other times a magnet might be placed at the bottom of the cup and as the skin rises, it makes contact with the magnet, stimulating the qi. In wet cupping, cups are placed over tiny incisions cut into the skin. The incision is usually made using a pricking needle applied to a vein, drawing small drops of blood once the cups have been properly placed on the body. This technique is used to promote blood circulation, detoxify the body, and alleviate pain and swelling. Side effects are usually mild. Bruises may result, but are usually painless and disappear within ten days. Other possible side effects include mild discomfort, skin infection, and burns from the heat. These usually clear up after the skin has been treated with an antibiotic ointment and bandaged. If you have inflamed skin, high fever or convulsions, or bleed easily, this treatment would be best avoided. Pregnant women should not receive this treatment on their stomach or lower back. It’s best to receive cupping from a licensed acupuncturist. A trained professional will know what areas of the body would benefit most from this treatment as well as prevent pain and possible infection. *Some texts decipher the title of Ge Hong’s work as the Handbook of Prescriptions for Emergencies. Acupuncture is a technique incorporated from China, Japan, and Korea. Slender needles are inserted through the skin along particular points in order to treat pain and dysfunction. Usually 5 to 20 needles are used at a time. A brief stinging or tingling sensation may occur at the puncture site, followed by a dull ache once the needle has reached the correct depth, although some people don’t feel anything at all. The needles are left in the body between 5 and 30 minutes. The practitioner may gently twirl or move the needles during treatment. There is little to no discomfort when the needles are removed. Although acupuncture procedures have been recorded as early as 100 BCE, it didn’t become popularized in the U.S. until 1971. Acupuncture theory began on the principle that our energy flow, called qi, moves throughout the body along twelve meridians. These meridians can be accessed through acupuncture points that represent channels wherein needles can be inserted in order to modify the qi’s flow. Although early Chinese physicians believed acupuncture maintained a balance within the qi, modern neuroscience has shown that acupuncture stimulates nerves, muscle, and connective tissue, thus increasing blood flow and triggering the body to activate pain-suppressing receptors. Acupuncture may also activate the body’s natural opioid system, which aids in relaxation. Acupuncture also helps reduce inflammation, thereby managing pain and swelling. What types of acupuncture are available? The traditional method of acupuncture uses thin needles, but alternatives are also available. A Japanese style of acupuncture involves tapping or stroking the skin with a needle versus pushing it into the skin. An example is the pediatric style of acupuncture called Shōnishin. Sometimes a low electrical pulse is sent through the needles, a method called electroacupuncture. Other times the needles might be heated with a heat lamp or a “moxa stick.” Other healing techniques may be used simultaneously, such as Chinese cupping. A “moxa stick” is roughly the shape and size of a cigar. Once the acupuncture needle is inserted into the skin, the ignited moxa stick heats it. The National Center for Complementary and Integrative Health (NCCIH) and the World Health Organization (WHO) list various conditions where acupuncture has been effective, such as migraine, neck pain, lower back pain, chemotherapy-induced nausea and vomiting, morning sickness, osteoarthritis, rheumatoid arthritis, peptic ulcer, knee pain, urinary tract infections, epidemic hemorrhagic fever, sciatica pain, and dysentery. Evidence also shows acupuncture may help lower blood pressure, reduce fibromyalgia pain, and relieve dizziness, palpitations, and tinnitus. Acupuncture is a safe method of controlling pain and may be beneficial to those who can’t take pain-relieving medication. It also has few side effects and can be combined with other types of treatments. Rare side effects include nerve injury, bleeding, bruising, dizziness, and fainting. Patients should let their practitioners know if they’re pregnant, since pressure to certain acupuncture points may be damaging to the fetus or cause premature delivery.